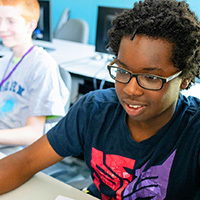 This is a great opportunity for high school juniors and seniors to take advanced classes in computer science, art, or robotics and earn Advanced Placement* credit or college credit at DigiPen. In addition to completing a comprehensive projects-based curriculum, students gain exposure to a collegiate environment and have access to opportunities like college mentoring and shadowing. The Washington Network for Innovative Careers (WANIC) is a regional skills center cooperative of select school districts in Northeast King County. WANIC provides advanced-level career and technical education programs based on rigorous academic and industry standards preparing students for post-secondary education and successful entry into high-skill, high-demand careers and employment. This program is open to students entering their sophomore, junior, or senior year of high school in the fall. Students must attend an information session at DigiPen as a requisite to their application with WANIC. 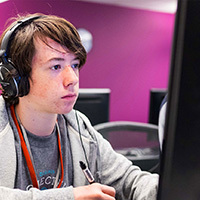 For the Video Game Programming courses students will need to show completion or concurrent enrollment in Algebra 2 as a prerequisite. Each WANIC course is 540 hours and run through the entire academic school year, Monday through Friday for 2.5 hours each day. Students can choose morning, afternoon or after school sessions. WANIC Skills Center also offers three-week DigiPen programs during the summer. Please refer to WANIC for dates and registration information. Discover the exciting opportunities of music engineering and sound design. Combine music composition, history, and theory with practical training in studio recording techniques. Apply fundamentals in computer science, mathematics, and physics to sound design principles. Learn what it takes to work within teams in real-world settings to create interactive audio for video games and engaging soundtracks for film. 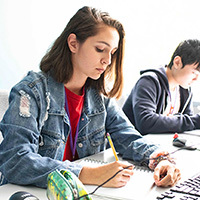 Offsite skill centers offer college-level courses that grant course credit at DigiPen Institute of Technology but not necessarily other colleges. Contact the appropriate skill center or DigiPen Academy for more details on specific course options and credit transfer policies. Each skill center partner location offers DigiPen off-site programs on different dates and at different times of the year. Check with the institution you’re interested in for more information. Tuition rates vary by skills center partner location. For the most up-to-date tuition info, contact the partner location of your choice. DigPen Institute of Technology offers the DigiPen WANIC courses in partnership with Washington Network of Innovative Careers (WANIC). Parents are welcome and encouraged to attend WANIC information sessions. Applicants are expected to attend a session to get application documentation signed by a DigiPen instructor. Or RSVP for a DigiPen WANIC Information Session.